A display of works on paper by Robert Davidson from the McMichael’s permanent collection. Robert Davidson (born in 1946) grew up in Masset in the Haida territory of the Haida Gwaii, an archipelago off British Columbia’s west coast. He served an apprenticeship with the great Bill Reid, and has gone on to match his mentor, working in many materials including wood, silver, argillite, bronze and aluminium. 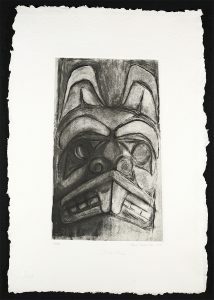 Like Reid, his work is grounded in a profound study and understanding of Haida craftsmanship, sculpture and design. 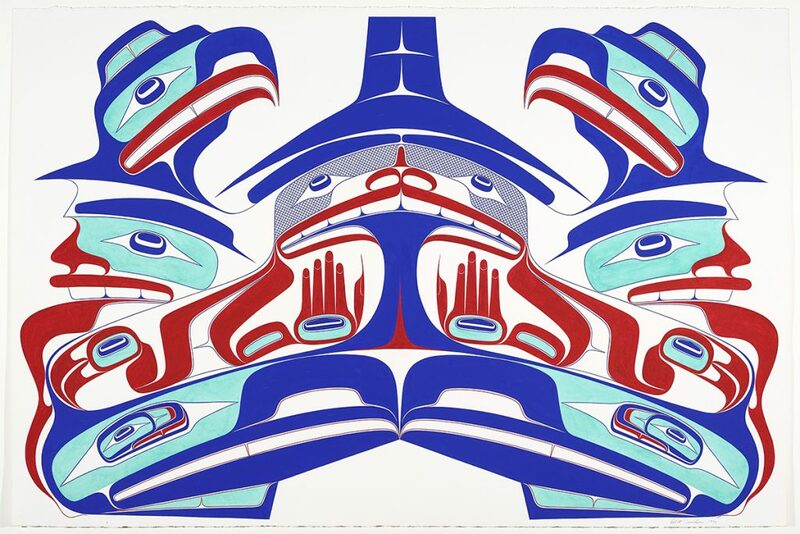 One of his special achievements has been to use his virtuoso command of the traditional Haida visual language to create contemporary works in both two and three dimensions. He is one of the most decorated of Canadian artists, having received many distinctions including the Order of Canada and the Order of British Columbia.